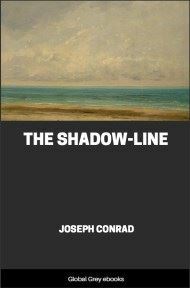 The Shadow-Line is a novel based at sea by Joseph Conrad. 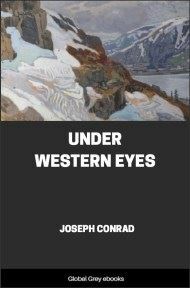 The novella has often been cited as a metaphor of the First World War, given its timing and references to a long struggle, the importance of camaraderie, etc. 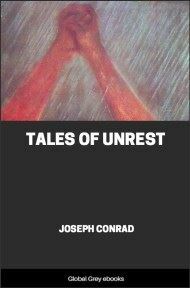 This viewpoint may also be reinforced by the knowledge that Conrad's elder son, Borys, was wounded in the First World War. 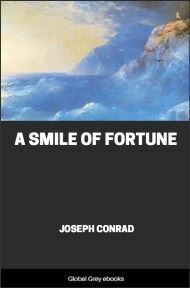 Others however see the novel as having a strong supernatural influence, referring to various plot-lines in the novella such as the 'ghost' of the previous captain potentially cursing the ship, and the madness of first mate Mr Burns. 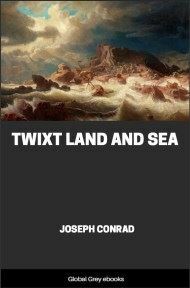 Conrad himself, however, denied this link, claiming that although critics had attempted to show this link, "The world of the living contains enough marvels and mysteries as it is." One closes behind one the little gate of mere boyishness—and enters an enchanted garden. Its very shades glow with promise. Every turn of the path has its seduction. And it isn't because it is an undiscovered country. One knows well enough that all mankind had streamed that way. It is the charm of universal experience from which one expects an uncommon or personal sensation—a bit of one's own. This is not a marriage story. It wasn't so bad as that with me. My action, rash as it was, had more the character of divorce—almost of desertion. For no reason on which a sensible person could put a finger I threw up my job—chucked my berth—left the ship of which the worst that could be said was that she was a steamship and therefore, perhaps, not entitled to that blind loyalty which. . . . However, it's no use trying to put a gloss on what even at the time I myself half suspected to be a caprice. It was in an Eastern port. She was an Eastern ship, inasmuch as then she belonged to that port. She traded among dark islands on a blue reef-scarred sea, with the Red Ensign over the taffrail and at her masthead a house-flag, also red, but with a green border and with a white crescent in it. For an Arab owned her, and a Syed at that. Hence the green border on the flag. He was the head of a great House of Straits Arabs, but as loyal a subject of the complex British Empire as you could find east of the Suez Canal. World politics did not trouble him at all, but he had a great occult power amongst his own people. It was all one to us who owned the ship. He had to employ white men in the shipping part of his business, and many of those he so employed had never set eyes on him from the first to the last day. I myself saw him but once, quite accidentally on a wharf—an old, dark little man blind in one eye, in a snowy robe and yellow slippers. He was having his hand severely kissed by a crowd of Malay pilgrims to whom he had done some favour, in the way of food and money. His alms-giving, I have heard, was most extensive, covering almost the whole Archipelago. For isn't it said that "The charitable man is the friend of Allah"? Excellent (and picturesque) Arab owner, about whom one needed not to trouble one's head, a most excellent Scottish ship—for she was that from the keep up—excellent sea-boat, easy to keep clean, most handy in every way, and if it had not been for her internal propulsion, worthy of any man's love, I cherish to this day a profound respect for her memory. As to the kind of trade she was engaged in and the character of my shipmates, I could not have been happier if I had had the life and the men made to my order by a benevolent Enchanter. And suddenly I left all this. I left it in that, to us, inconsequential manner in which a bird flies away from a comfortable branch. It was as though all unknowing I had heard a whisper or seen something. Well—perhaps! One day I was perfectly right and the next everything was gone—glamour, flavour, interest, contentment—everything. It was one of these moments, you know. The green sickness of late youth descended on me and carried me off. Carried me off that ship, I mean. 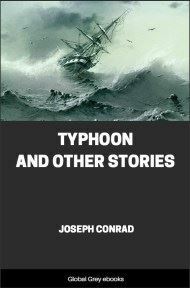 We were only four white men on board, with a large crew of Kalashes and two Malay petty officers. The Captain stared hard as if wondering what ailed me. But he was a sailor, and he, too, had been young at one time. Presently a smile came to lurk under his thick iron-gray moustache, and he observed that, of course, if I felt I must go he couldn't keep me by main force. And it was arranged that I should be paid off the next morning. 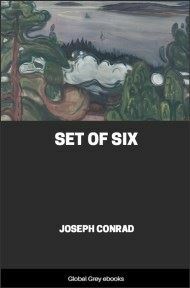 As I was going out of his cabin he added suddenly, in a peculiar wistful tone, that he hoped I would find what I was so anxious to go and look for. A soft, cryptic utterance which seemed to reach deeper than any diamond-hard tool could have done. I do believe he understood my case. But the second engineer attacked me differently. He was a sturdy young Scot, with a smooth face and light eyes. His honest red countenance emerged out of the engine-room companion and then the whole robust man, with shirt sleeves turned up, wiping slowly the massive fore-arms with a lump of cotton-waste. And his light eyes expressed bitter distaste, as though our friendship had turned to ashes. He said weightily: "Oh! Aye! I've been thinking it was about time for you to run away home and get married to some silly girl."